Developing a strong presence on social networking and bookmarking sites doesn’t involve complex formulas or algorithms. Sure, sites like Digg and Reddit have algorithms, but your best bet is to focus on the two major pillars of success on social bookmarking sites – great content and a network of users to promote it – rather than focusing on racing to the front page. Building your social bookmarking network involves more than just adding users to your friends list. Participation is required – it’s what gets you noticed. Voting for, spreading and commenting on other users’ content shows you’re willing to contribute to the community. Keep reading for nine basic do’s and don’ts when building your social bookmarking networks. The best place you can start building your social media presence is by making friends with power users. They have literally hundreds, if not thousands of friends, and a vote on your content from them can often translate into additional votes from their followers. But remember, everybody is busy. They most likely won’t have time to digg, vote or retweet 100 links a day or answer a beginner’s questions personally. Be sure you vote on their content and respect their time. Commenting and participating in conversations on social bookmarking networks isn’t so much about being social as it is about taking the time the to look at other’s submissions. But don’t be too controversial just for the sake of stirring things up, and don’t reply to something just to disagree. You can try to be funny, but remember not everyone will appreciate your sense of humor, so be careful. There are literally thousands of social media networks and instant messaging utilities out there. Joining multiple social bookmarking sites like StumbleUpon and Yahoo! Buzz is a great way to expand your reach. Manage your time wisely, though. Creating and maintaining an active profile can be a lot of work on some sites, so don’t spread yourself too thin. When you’re a part of a social bookmarking community like Digg, Newsvine or Propeller, it’s likely you will notice certain sites make the front page regularly. Being the first to submit new content from these sites can be a great way to get noticed. On the other hand, submitting content that has no place in the community you’re in is one of the sure-fire ways to fail at social bookmarking. If you appear self serving, folks will vote your stuff down and remove you as a friend. Be sure what you’re promoting is worthy of votes! This may seem obvious, however, there are many people who only submit their own content and occasionally make comments on or vote on other stuff. This is a red flag that you’re only in it for the marketing, which is not the image you want to project. The best way to avoid looking like a marketer is to submit articles, etc. from a wide variety of websites that fit the bookmarking site. DO sign in, vote up, retweet and comment regularly, DON’T leave huge lapses of activity in your accounts. 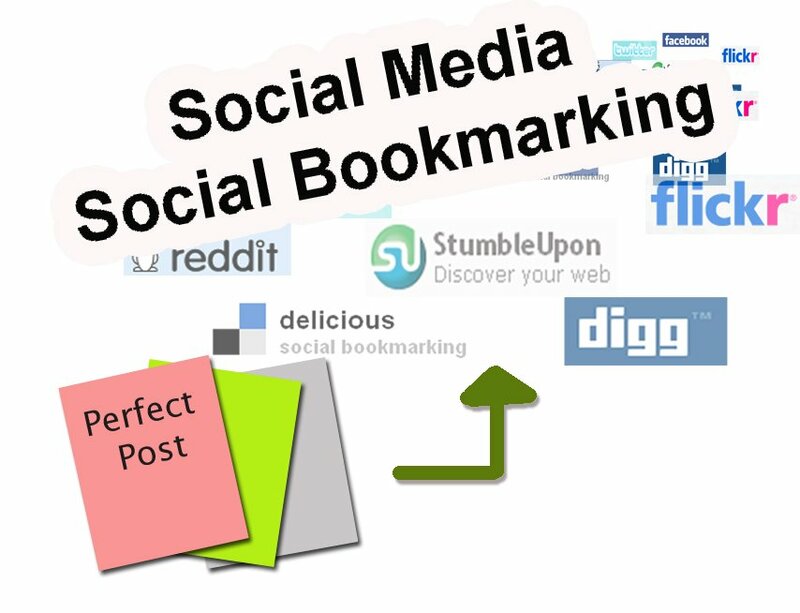 One of the keys to successful marketing through social bookmarking sites is being a regular. Taking too much time away could mean all of your hard work going to waste. It’s not that you can’t take a well deserved vacation. But the more available you are to vote and spread submissions of others, the more influence you will have in gaining exposure for your own stuff. Help your friends out and they’ll help you! Don’t wait to vote up or retweet your friend’s submissions. If you go out of your way for them, the more likely they’ll do the same for you. Don’t ask too much without giving something in return and if you ask someone to vote or retweet something, be sure it’s top quality content. Eventually, people will avoid or ignore you altogether if it’s not. The basis of social media like bookmark networking sites is the human touch – the fact that a real person cares enough about a topic to pass it along to others who they think will also care. If you’re trying to get content out to as many people as possible, you need to act like a real person. Be friendly and have conversations with others online from time to time. Like anything, building a network for social bookmarking sites takes a lot of time and hard work. You don’t have to spend all day everyday on social media to be successful. But you need to find a routine you’re comfortable with and stick with. Persistence is the key to success.